The purpose of this study was to examine how a positive behavior treatment affects the quantity of quality questions that students ask in a given time period of one week. Existing research shows that encouraging more questions in the classroom helps students to learn and are at the heart of creativity and learning. Further, the research shows that as students progress through our schools they tend to ask fewer questions unless they feel safe asking those questions. The need for this study rose from the lack of middle school studies into this area. Further, studies show a significant decline in motivation in the middle school classroom which affect student questions, critical thinking, and learning. A mixed data analysis showed that there was an extremely significant increase in the amount of questions and quality questions asked by the treatment group. This implies that a positive behavior reward system does influence students to ask more questions and, significantly, more quality questions. ​The study shows that by offering a simple, low-cost positive reward students will ask more total questions and increase their quality questions. The study implies that students can be inspired to ask more quality questions with the right rewards. Further, the study illustrates that thinking about quality questions helps students to become more involved in the class through critical thinking and focus. 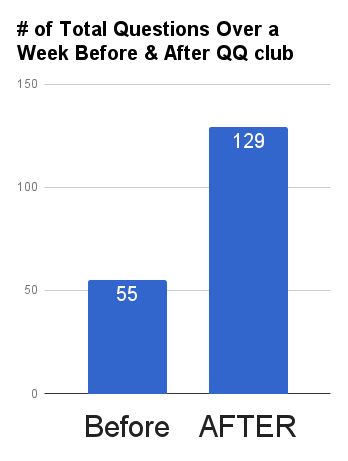 This study examined the numbers of questions and quality questions that students asked over a two week period. During the first week, the researcher tallied the numbers of questions that students asked. This resulted in both the control and treatment groups asking similar numbers of questions. The second week started with a lesson for all groups about quality questions and how to ask them. 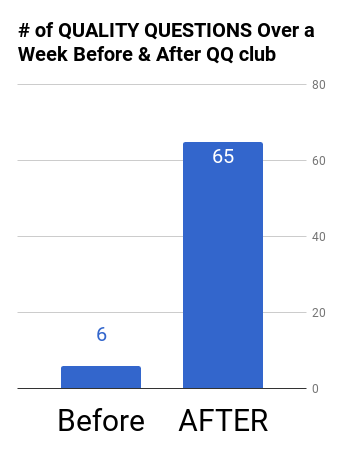 A treatment group was invited to earn the right to join the Quality Questions Club, along with its privileges or positive rewards, by asking quality questions within the traditional class time period. The researcher then tallied the results for total questions and quality questions. A review of the literature concerning encouraging students’ questioning in the classroom revealed few recent studies. The newest studies on encouraging student questions in the classroom are from the 1990s and early 2000s. There are many studies on the inquiry and PBL models in the classroom, but these do not focus specifically on encouraging questions when not conducting inquiry and PBL units. The focus of this study is on this latter aspect of student generated questions; how can a teacher encourage student generated questions in a traditional classroom? Early studies such as Alison King’s study (1994), and Christine Chin’s study (2002) found similar reasons for encouraging questions in the classroom. 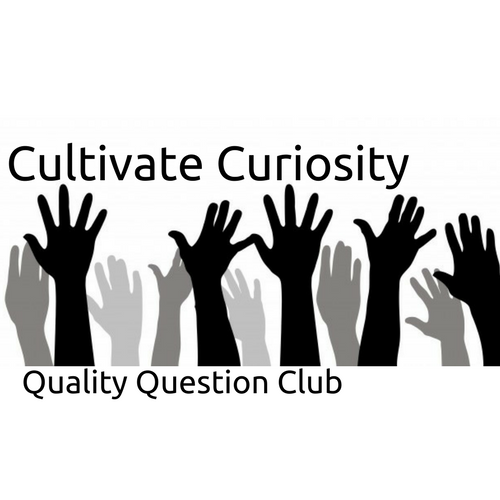 Specifically, the researchers point out that asking questions is a very important part of active learning, forming great questions is a “creative act,” and asking questions is at the heart of great learning. Lit Review Table available here. This is an image of my action research poster. Click on it to see a full size image.